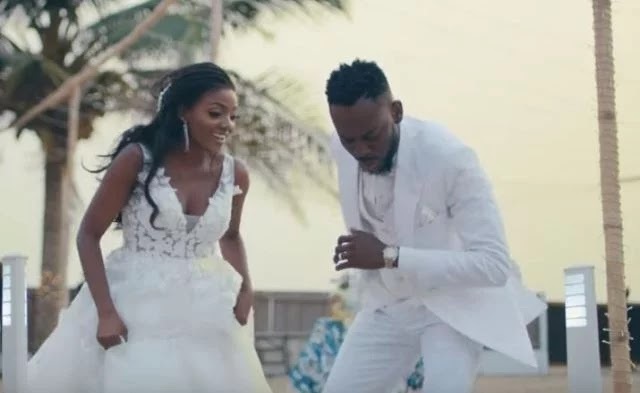 It’s Adekunle Gold’s birthday today and his wife, Simi just shared an interesting photo from their wedding to celebrate him. Simi however disabled comments on the post as she’s been under pressure to share more photos from her very private wedding. I know God knows how much I want you to shine and prosper and win and laugh and be happy, so I pray God grants my heart desires. The lovebirds got married traditionally on Wednesday, January 9, at an undisclosed location in Lagos, and had a more private white wedding on Thursday, January 10, in Eko Atlantic City, Victoria Island, Lagos. The duo flew to Cape Town, South Africa for their honeymoon.